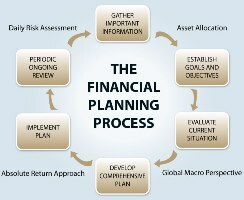 Tax planning may seem like a tedious exercise requiring lot of efforts that may make an ordinary investor nervous at the first glance. 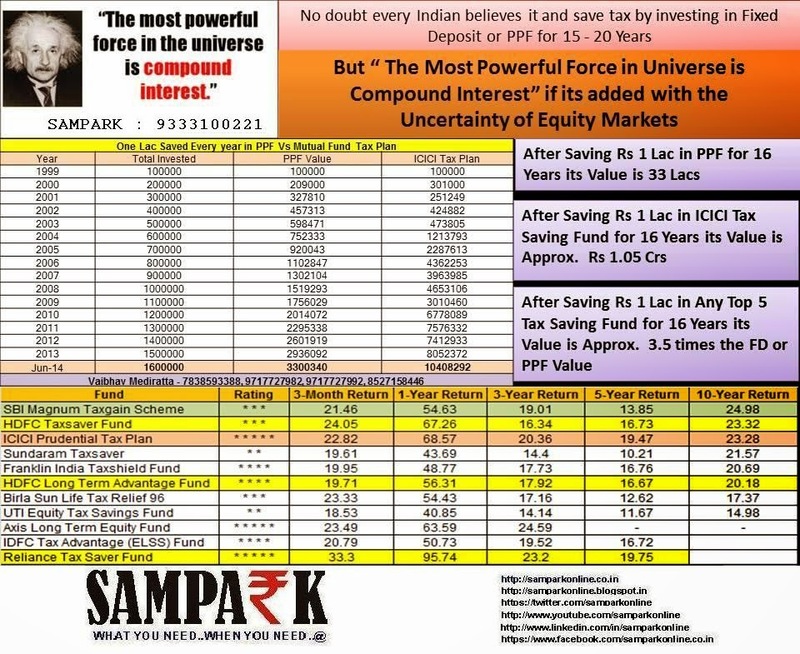 Equity Linked Savings Scheme (ELSS) offers a simple way to get tax benefits and at the same time get an opportunity to gain from the potential of Indian equity markets. 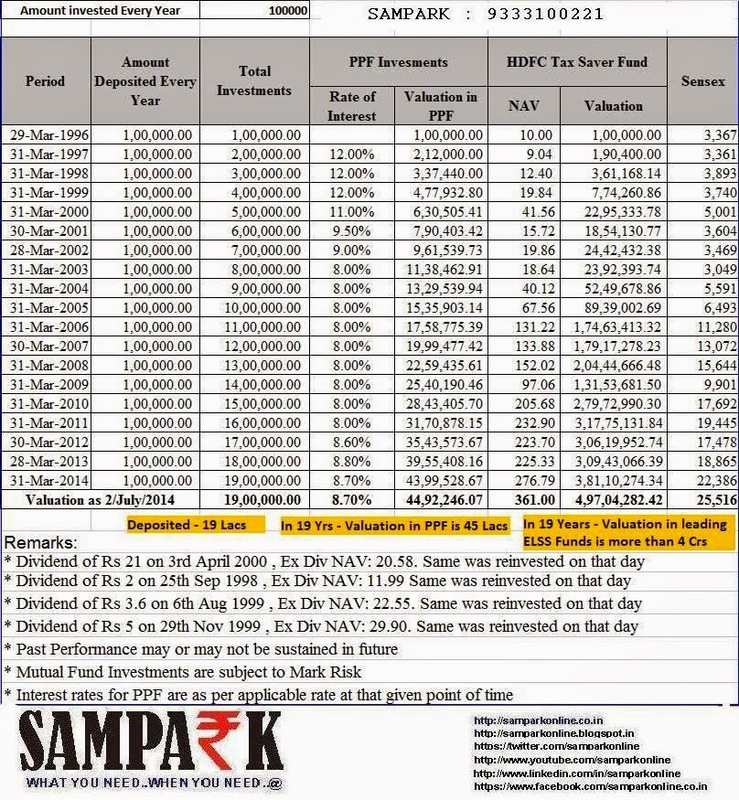 ^Source: http://finmin.nic.in, Rates incorporates compounding wherever applicable. 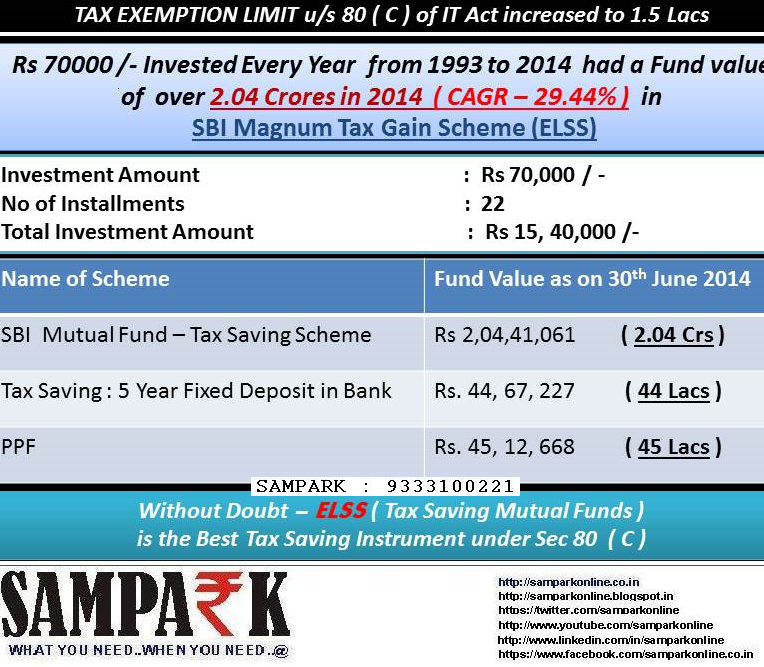 Disclaimer: The comparison of ELSS Vs other tax savings instrument has been given for the purpose of the general information only. Investment in ELSS carry high risk and any investment decision needs to be taken only after consulting the Tax Consultant or Financial Advisor. SBI Mutual Fund will not accept any liability/ responsibility/loss incurred on any investment decision taken on the basis of this information. How to start an ELSS account? There are two ways to invest in ELSS. Invest a fixed amount every month through systematic investment plan (SIP) in ELSS and reduce the burden of large investment towards the end of financial year. 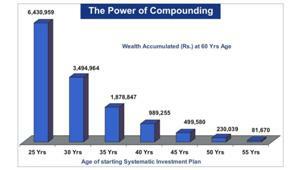 Invest lump sum at any point of time. Why SIP route for ELSS? 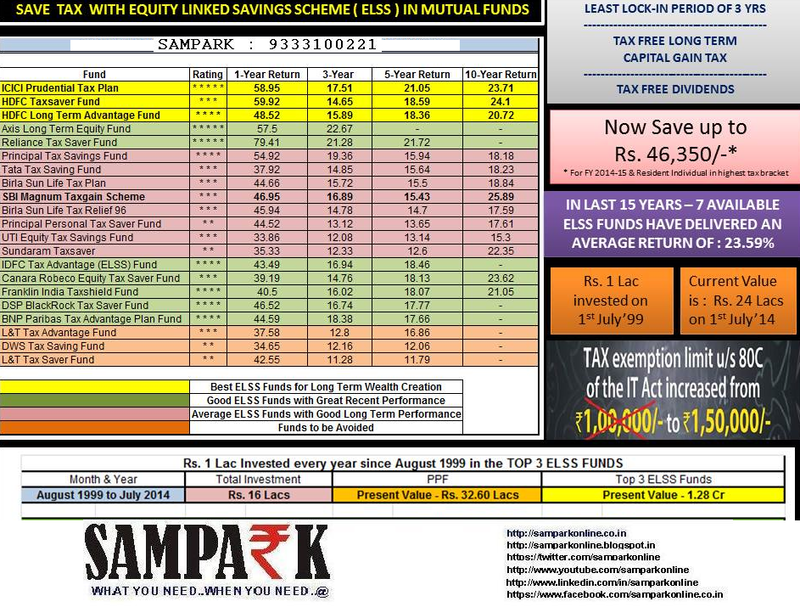 One of the best ways to invest is to save and invest on a regular basis through SIPs. SIP is a planned investment programme, whereby an investor invests small amounts of his/her savings in mutual funds at regular intervals. Moreover, SIP helps an investor take advantage of the fluctuations in the stock markets by rupee cost averaging (in a rising equity market an investor gets fewer MF units but when the market is sliding he/she gets more MF units) and also helps him/ her reap the benefits of compounding. 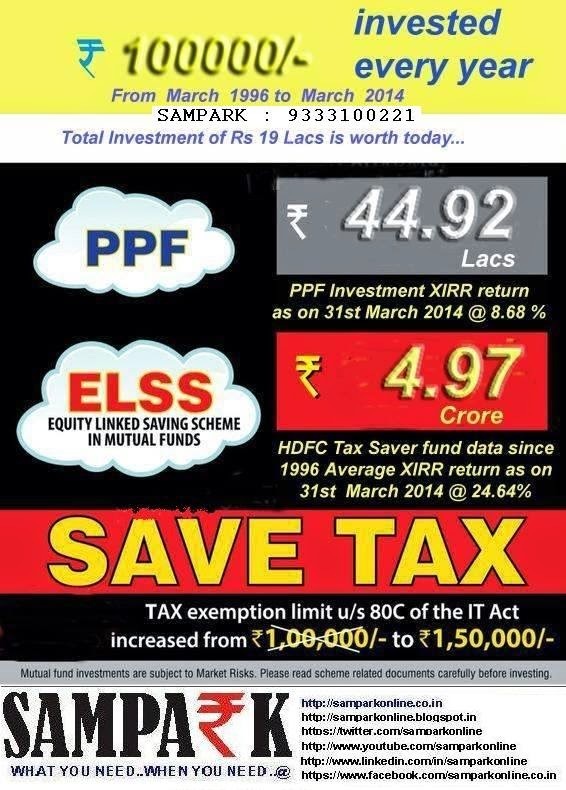 A SIP in ELSS offers an investor the best combination of investments—tax-savings and capital appreciation available to investors. The minimum investment in an ELSS through the SIP route can be as small as Rs 500. Here are some presentation attached for your easy decesion.